Dr. Steven M. Balloch has helped countless patients in and around the greater Hartford area achieve healthy and beautiful smiles. To achieve the best results, he offers the latest in restorative dentistry treatments to enhance the health of the teeth and gums. Part of this involves the use of dental restorations to treat tooth decay. With this in mind, we'd like to consider the use of inlays and onlays right now. 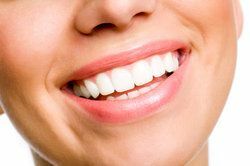 Inlays and onlays are dental restorations that are used when a person has experienced major tooth decay or tooth damage. They are strong and able to replace larger sections of tooth structure, including the cusps (the biting surfaces) of the teeth. Inlays and onlays can be considered an intermediate form of dental restoration. They are able to replace and repair larger portions of a tooth's structure than a regular dental filling, and they are often used when a patient does not require a full dental crown. During the consultation process, your dentist will let you know which kind of dental restoration would be best for you and your needs. All efforts will be made to work as conservatively as possible since working conservatively is more ideal for a patient's overall dental health and wellness. The best candidates for inlays and onlays are people who have experienced significant tooth decay or tooth damage. Patients should also have realistic expectations about the nature of inlays and onlays and be willing to properly care for them in the years ahead. When it comes to any dental restoration, it's common for them to be crafted out of tooth-colored materials or out of soft metals. The tooth-colored materials obviously have a number of aesthetic advantages, allowing the restorations to blend in with natural tooth structure and for patients to smile with confidence. The metal restorations, while not as aesthetically pleasing, are very durable. In general, your dentist will use tooth-colored dental restorations for the more visible and prominent teeth, while metal restorations will be reserved for the molars and less-visible teeth given their function when chewing. The exact treatment plan for you and your needs can be discussed in greater detail during the consultation process. During the procedure for placing inlays and onlays, the damaged tooth structure is carefully removed, leaving only healthy tooth structure in place. An impression is then taken of the prepped tooth or teeth. This impression is sent to a dental lab so the inlays and onlays can be created. When the finished restoration is received, the patient returns to the practice to have the restoration placed. A final check will be made to ensure the best possible fit of the inlays and onlays before they are securely adhered in place. To learn more about inlays and onlays as well as your many other options for advanced dental care treatment, be sure to contact our cosmetic and restorative dentistry center today. Dr. Balloch and the entire team here looks forward to meeting you in person and helping you have a healthier and more beautiful smile.